Make sure you have the right tool for the job when planning to head out into the wilds! The Black Serrated Jungle Machete makes a great blade to keep on hand during any camping trip or other sort of exploration of the outdoors. The stainless steel machete features a black finish for a tactical look and serrations along a portion of the belly. A handle has a wooden piece inserted, which has then been wrapped by black nylon cord. 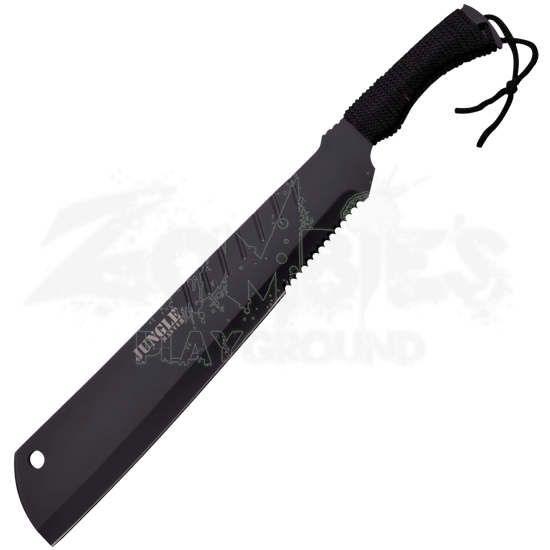 This functional machete comes with a black nylon sheath to make it simple to carry or store away safely. 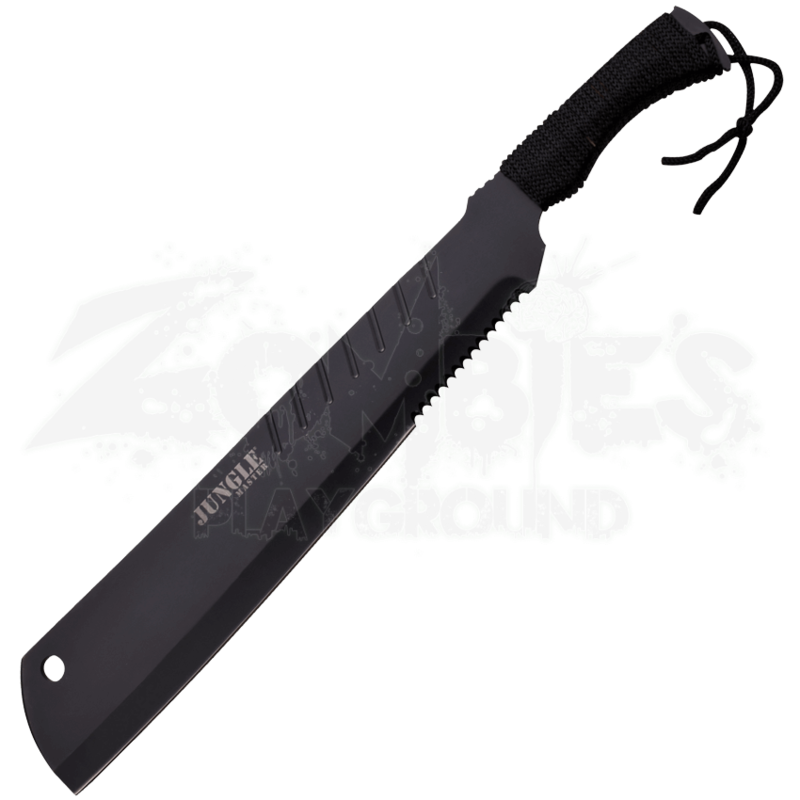 When you are looking for a top notch blade, make sure to check out this jungle machete!